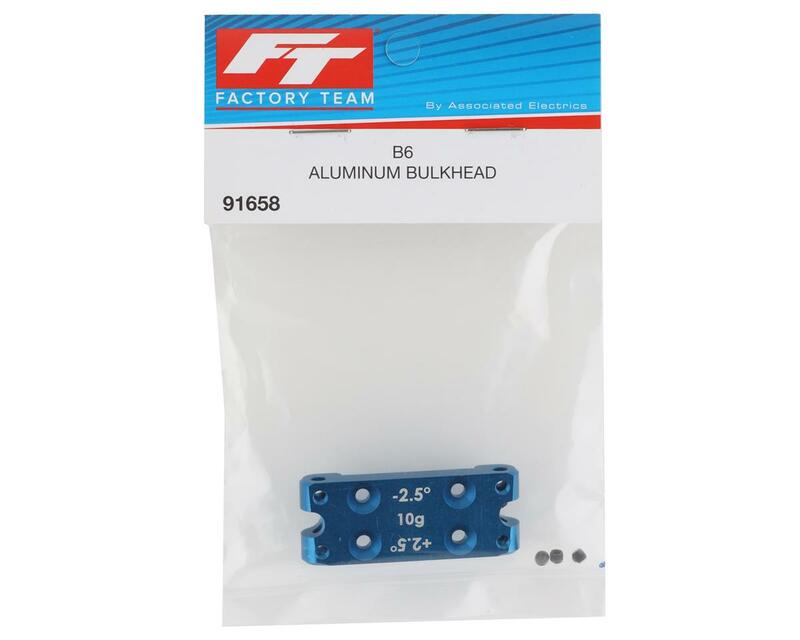 Team Associated B6 Factory Team Aluminum Bulkhead. This is an optional aluminum bulkhead for the RC10 B6 and B6D buggies. 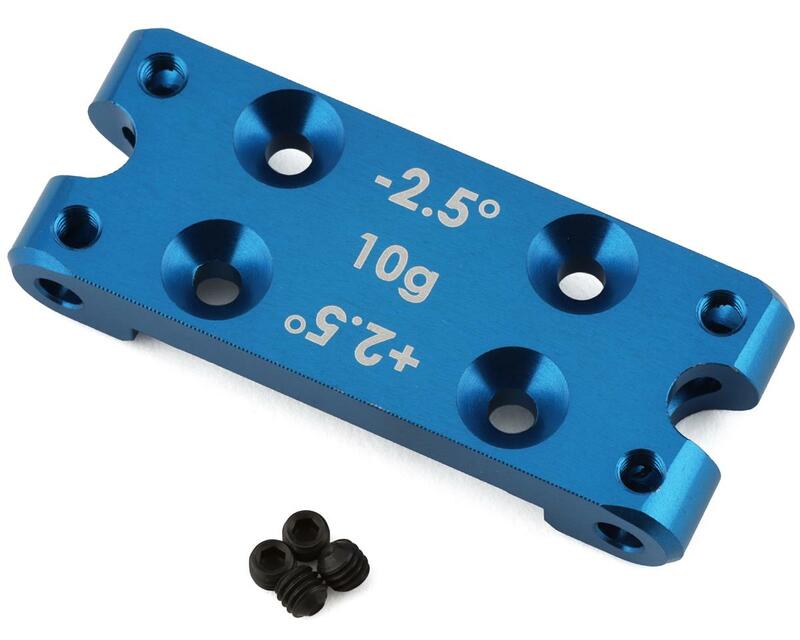 This bulkhead weighs 10 grams and allows the user to adjust the kickup angle to 25 or 30 degrees. Package includes bulkhead and set screws to lock down the hinge pins.